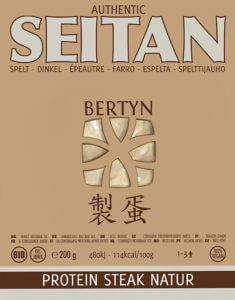 The Bertyn chefs have added the vitamin D-rich Agaricus mushroom to the tasty sauce. In the refrigerated display of your health food shop. Easy to prepare. Tasty and vegetarian. 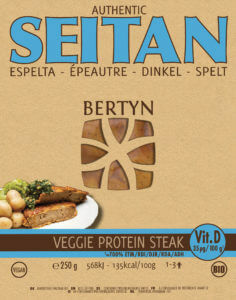 Veggie Protein Steak – Wheat + Vit. D find your fresh in the cooler of your health food store. Keep away from light and chilled at 7° C maximum.